To be successful at natural dyeing you need to know a bit about mordants and fixatives. Basically, natural dyes will not adhere to natural fibres without the use of a mordant or fixative. Whilst you may initially get a beautiful result from the dyeing, it will soon wash out or fade away! Protein fibres like silk and wool absolutely need a plant extract (dye) and a mineral mordant. 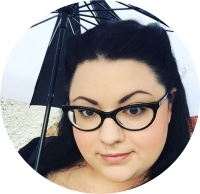 So, if you are looking to dye some yarn to eventually produce a garment that will wash well you must learn a little about mordants! Soaking the wool or yarn in water to which a mordant has been added will ensure your lovely natural dye fixes to what you are dyeing. To do this fill your pot with cool water to which your mordant has been added. Stir well to ensure the mineral has dispersed through the water evenly and then place your dye material (wool, fibre, yarn, thread) gently into the pot. Slowly bring to a simmer for about 20 – 30 minutes, then turn the heat off and leave to cool. As the water cools, the mordant will adhere to the fibre or yarn in the pot. At this stage, you can dry your mordanted yarn and store it for later use. Or you can transfer it to your dye bath where the natural dye you have chosen will now fix itself to the mordant in your yarn or fibre. Caution: some mordants are poisonous! The use of Copper, Iron, Tin and Chrome mordants has decreased over recent years as dyers have become more environmentally aware and health conscious. Always wear gloves and follow the safety advice at the bottom of this article. The specific compound is hydrated potassium aluminium sulfate. 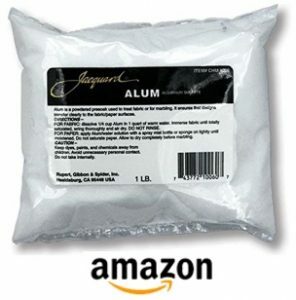 Alum can sometimes be found in your local supermarket, as it is often used in canning and preserving. Alum is one of the most popular mordants used in natural dyeing, as you can dye and mordant all at the same time. Just add your alum to the dye bath, mix well, then add yarn or fibre. 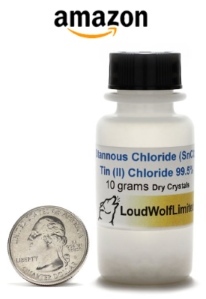 If you can’t find alum locally (or just can’t be bothered), you can easily order some via Amazon. This offer to the right has a lot of great reviews, click to check them out. Alum is also regarded as the safest of the common mordants, so it is probably your best bet if you are just starting out. Note: too much Alum can make your yarn sticky, so less is best. However you may need to experiment to get a deeper color. A good starting point is 1/4lb Alum and 1 oz Cream of Tartar to 1lb wool or yarn. Iron (or Ferrous Sulphate) tends to darken the dye on your fibre or yarn. Use to create lovely browns. 1/2 oz (15 grams) Iron per pound (500 grams) fibre. 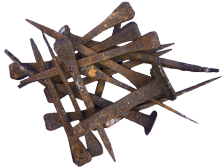 Old nails boiled in water will also create an effective and free iron mordant. Iron will dull down colors so care must be taken if that is not the look you are searching for. Old pennies are made of copper and you can choose to (literally) save a few pennies and use these as your mordant. 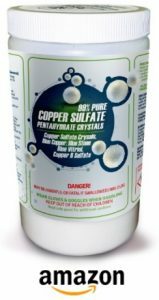 However, it is more effective to simply buy copper sulfate. Again, this is readily available online, just click the link to the left to check out this one from Amazon. The measurements are the same as for iron. Copper is toxic! Please see warning notes below! As a mordant, tin has a tendency to be very harsh on the wool or yarn and can make it quite brittle. Small amounts are recommended! However, when used correctly, tin leaves a clear and very fast color. Because of the harshness of tin it is most often used in tiny amounts along with another mordant, or is added as an after bath to brighten colors. Tin is highly toxic, please see warning notes below. If you want to try it, you can try this one on Amazon. Use at a rate of 2 – 4% chrome to wool weight. The advantage of using chrome is that it leaves the wool soft to the touch, whereas the other mordants can be quite harsh leaving your wool slightly crunchy. I would actually not recommend using chrome these days, as it has been found to be proven carcinogen! Cottons and linens or other plant based textiles need a fixative to help set the dye, so that your wonderful creation does not lose color quickly. Salt – Use salt as a fixative for cotton fabrics, thread or yarns. 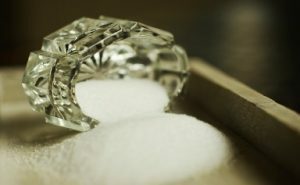 As a general rule you should use 1 part salt to 16 parts water. Place your dyeing medium into the salted water and simmer for about an hour to allow maximum absorption. 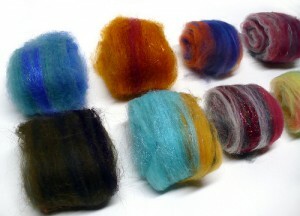 Gently squeeze the salted water from your dyeing medium and then – whilst still wet – immerse the item into the dye bath. Tannins – Tannins occur naturally in some plants, which eliminates the need for other fixatives. These plants are indicated by an “**” mark in the colors page. Vinegar – 1 part vinegar to 4 parts water. Use as per salt above. Baking Soda – 1/2 cup baking soda to 1 gallon water. Simmer. Never use the same pots and utensils for dyeing that you use for cooking. Wear rubber gloves and use a face mask when measuring mordants and dyes. Dispose of used mordants and dye baths safely. Well there you have it. A simple and practical guide to the use of mordants and fixitives in your natural dyeing products! Whilst all this talk may seem a little off-putting at first, hopefully you now see how simple and fun the whole affair really is! 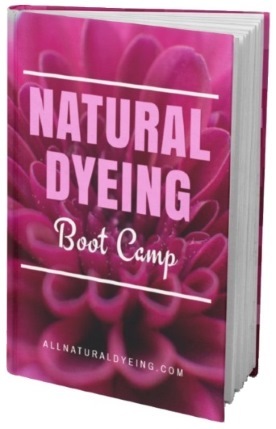 But… if you’re still feeling a bit shell shocked, do consider my Natural Dyeing Bootcamp. I cover 4 stunning natural dyeing projects in detail that don’t require mordants or fixatives at all!